Michael Mello, MD, MPH, is the director of the Injury Prevention Center at Rhode Island Hospital/Hasbro Children’s Hospital, and director of its Collis Injury Prevention Research Fellowship for physicians. He is a professor of medical science in the department of emergency medicine, as well as health services, policy and practice in the school of public health at Brown University. His research has focused on behavioral change interventions to decrease injury recidivism. He has previously held national leadership positions in the field, including as national president of Society for the Advancement of Violence and Injury Research (SAVIR) and national president of board of directors for Injury Free Coalition for Kids. He is currently director of the master of science in population medicine program at The Warren Alpert Medical School of Brown University. is a principal investigator on the CDC-funded Safe Opioid Prescription Project (SOPP) study and a co-investigator for several Injury Prevention Center research projects. Baird has a doctoral degree in experimental psychology and has a particular interest in behavior change research. 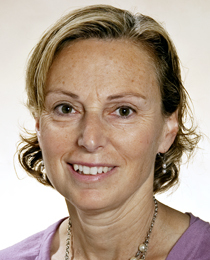 She is an associate professor of emergency medicine (research) at The Warren Alpert Medical School of Brown University. is a research associate and an assistant professor of emergency medicine (research) at The Warren Alpert Medical School of Brown University. She is principal investigator on the Rhode Island Foundation supported Seat Checks in Pediatric Practice project. She also coordinates community outreach activities at the IPC, including the Injury Free Coalition for Kids in Providence program, the Safe Kids RI program and the car seat safety program. 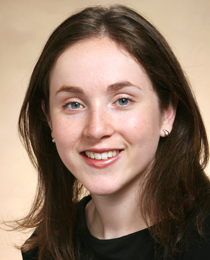 Burstein earned her medical degree at the University of Massachusetts Medical School and completed a residency in pediatrics at Yale-New Haven Hospital. Burstein has practiced as a primary care pediatrician and earned a master of public health degree from the University of Massachusetts Medical School. She enjoys working at the IPC to help keep kids safe throughout Rhode Island. Julie Bromberg is a clinical research supervisor at the Injury Prevention Center and a research associate in the department of emergency medicine at The Warren Alpert Medical School of Brown University. Bromberg holds a master in public health as well as certification as a certified clinical research professional. She has nearly 15 years of experience in injury prevention research, with expertise in both community based research and clinical research studies. graduated from Rhode Island College with a bachelor of arts degree in psychology. She is currently the program coordinator of the 4-Safety program, a community outreach program sponsored by Dunkin Donuts. She was the primary counselor of the RYDD (Reducing Youthful Dangerous Decisions) program for more than 4 years. She intends to continue her studies as a counselor, as well as in the public health field. is a research scientist whose research focuses on drug abuse, addiction and injury. 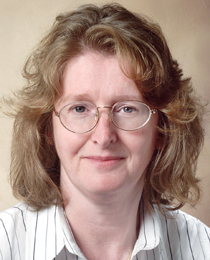 She earned a master of science degree in epidemiology and biostatistics from McGill University and a PhD in epidemiology from Yale University, where she was both a Center for Interdisciplinary Research on AIDS pre-doctoral fellow and an individual Kirschstein-National Research Services Award pre-doctoral fellow. Currently, she is the director of Public Health Research and Methodology at Inflexxion, Inc., and an assistant professor of Emergency Medicine and Epidemiology at The Warren Alpert School of Medicine at Brown University. She also chairs the Rhode Island Drug Overdose Prevention and Rescue Subcommittee for the Rhode Island Department of Health. Her research is supported by the Centers for Disease Control and Prevention, the Patient-Centered Outcomes Research Institute, and the National Institute on Drug Abuse. 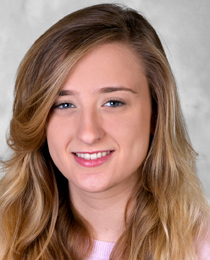 Leah Kiernan is currently the program assistant for the 4-Safety and Seats 4 Safety programs. 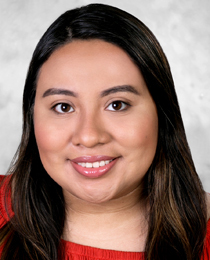 She graduated from Rhode Island College with a bachelor’s degree in communications and a focus on non-profit work. James Linakis, MD, PhD is an Injury Prevention Center researcher, associate director of pediatric emergency medicine at Hasbro Children's Hospital, and professor of Emergency Medicine and Pediatrics at The Warren Alpert Medical School of Brown University. He attended University of Oregon Health Sciences Center, where he received a PhD in medical biopsychology, and Yale University School of Medicine, where he received his medical degree. 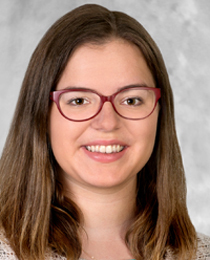 Linakis completed a residency in pediatrics at Yale-New Haven Hospital and a combined fellowship in pediatric emergency medicine and toxicology at Boston Children's Hospital. He has conducted research in the areas of toxicology, injury prevention and health care delivery. 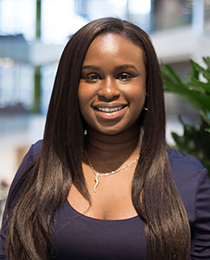 Evelyn Nimaja is a clinical research assistant for the Injury Prevention Center at Rhode Island Hospital and its Hasbro Children’s Hospital. She graduated from Brown University and earned a bachelor’s degree in health and human biology and in education studies. 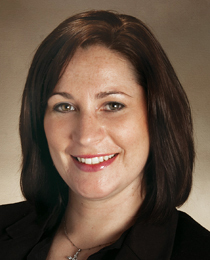 She primarily works on studies relating to alcohol screening, brief intervention and referral to treatment. Lauren Poplaski is a clinical research assistant for the department of emergency medicine at Rhode Island Hospital and works with fellow study teams at Boston Medical Center. She graduated from Villanova University with a bachelor of science in neuroscience. She primarily works on the MOON (Modifying Opioid Safety with Naloxone) and MATPharm studies. Megan Ranney, MD, MPH, is an emergency physician and researcher, focusing on the intersection between digital health and injury prevention. She is the director and founder of the Brown Emergency Digital Health Innovation (EDHI) program. She is an associate professor of health services, policy and practice, and emergency medicine at The Warren Alpert Medical School of Brown University. Dr. Ranney is an editor for the journal, Annals of Emergency Medicine, a fellow of the American College of Emergency Physicians, and an elected member of the Society for Academic Emergency Medicine board of directors. She serves as chair of the research committee for the Society for Academic Emergency Medicine, and chair of the Firearm Injury Research Technical Advisory Group for the American College of Emergency Physicians. Dr. Ranney is also chief research officer for the American Foundation for Firearm Injury Reduction in Medicine. She is principal investigator or co-investigator on grants from several organizations that focus on technology-based interventions for high-risk populations. 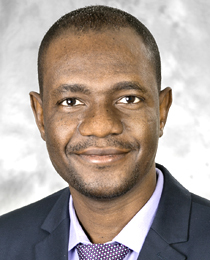 Ayorinde Soipe is a clinical research assistant for the department of emergency medicine at Rhode Island Hospital. He holds a medical degree from Lagos State University in Nigeria, and completed a master of science degree in epidemiology from Brown University. He is assisting with data analysis on the AHRQ and OPEN research projects. Mark R. Zonfrillo, MD, MSCE, is a pediatric emergency medicine physician, a clinical epidemiologist, and associate professor of emergency medicine and pediatrics at The Warren Alpert Medical School of Brown University. His research focuses on pediatric injury epidemiology, with emphasis on risk factors for motor vehicle occupant injuries, concussion, and disabling injuries in children. He earned his medical degree from Brown Medical School and a master of science in clinical epidemiology from the Perelman School of Medicine, Center for Clinical Epidemiology and Biostatistics at The University of Pennsylvania. He completed his residency and chief residency in pediatrics at Yale-New Haven Children's Hospital, and his fellowship in pediatric emergency medicine at The Children’s Hospital of Philadelphia. Ama Donkor is a clinical research coordinator for the department of emergency medicine at Rhode Island Hospital. She attended Northeastern University for both undergraduate and graduate studies. She holds a master in public health and a certificate in occupational ergonomics. She is certified in public health by the National Board of Public Health Examiners. She primarily works on the MATPharm study.